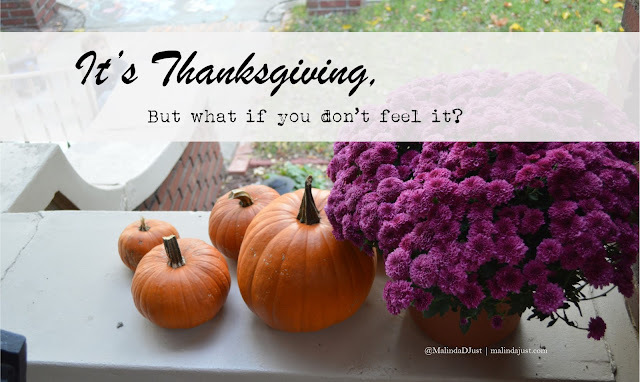 What if you don't feel thankful? Before I could register the question, a loud, obtrusive sound pierced our kitchen. And that, followed by fits of giggles from my youngsters. Normally I am turned off by rude noises, but in that moment, I turned from the counter where I was preparing supper and laughed. Not an appeasing little chortle, but a real, deep belly laugh. Complete with tears. Maybe it was because I was totally caught off-guard. Maybe it was because of the infectious laughter of my kids. Maybe I was at my wits end in coping with emotional stress and pain. But I don’t think it matters, because I desperately needed that kind of laugh! The whole of the last year-and-a-half hasn’t been funny. Rather, it has been riddled with adversity. Sometimes I know right away when I need to take a public stance with a public voice--my miscarriages are an example. But this particular circumstance seemed more private. And I’m still not ready to share details here. There can be times when limited details are best. Sometimes, that’s how we relate on a broader level. Not everyone has experienced the exact trauma our family went through over a year ago, but everyone has experienced SOMETHING. And those somethings, I think, can more easily come to a head during the holidays. A friend posted about Seasonal Affective Disorder (SAD) on Facebook the other day. She said SAD is real, and she was currently experiencing it. SAD is defined as a type of depression linked to the change of seasons, but I think it could also be linked to the pressure to feel certain ways during certain holidays. Thanksgiving season is here. We are supposed to feel thankful. But what if we don’t? Some circumstances don’t produce much desire to shout out thanksgivings. I remember one thanksgiving season long ago when I uttered the words: “What do I have to be thankful for?” not in an attitude of jest, but one of severe and utter desperation. Perhaps that’s you this year. Those kind of deep, painful circumstances that tempt us to utter dark words can feel enormous and insurmountable. And sometimes the expectation of gratitude during the current season can feel forced or even pour salt on open wounds. So I am not here to minimize those very real emotions. But I am here to say that sometimes, those very real emotions can’t be trusted to tell the truth. For instance, when I wondered what I had to be thankful for, the answer was staring me right in the face. But I couldn’t see it. I was so engulfed in my dark wounds that I had trouble seeing the light. 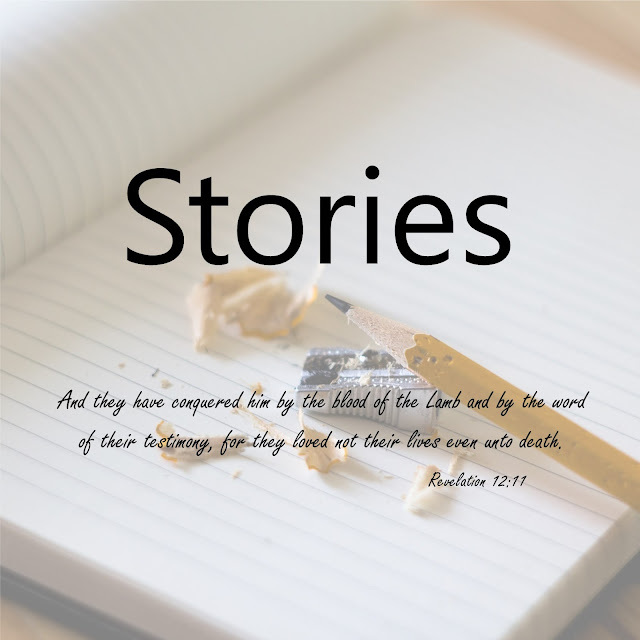 During our current situation, the ripple effect of sin has left wounds. In the aftermath, I cried. A lot. I grieved. A lot. I spewed. A lot. And I prayed. A lot. The two circumstances have some similarities--being on the receiving end of another’s choice and not choosing the circumstance. In fact, not even WANTING the circumstance. But the difference between then and now centers in attitude. Back then, I didn’t understand the concept that for a child of God, not one thing is wasted. But now, I have a better grasp of it. And I have proof it is true. Not one thing is wasted. I have come to believe trial isn’t meaningless. It still hurts. It’s still hard. But it’s not meaningless. I have come to understand that God is truly sufficient in all circumstances. More importantly, I have come to believe that God is truly sufficient in all circumstances. He was sufficient then, and He is sufficient now. He was there then, and He is there now. So, my belly laugh at Google’s noisy, intrusive burp? Proof that thankfulness can coincide with pain. It’s just all in how you look at it. This article was originally published as my column, Lipstick & Pearls, in the Nov. 15, 2017 edition of the Hillsboro Free Press. I have been writing L&P since 2008. Spot on Melinda. Great truths here. I'm sorry you're experiencing a painful season, but so thankful to hear you're keeping your eyes on Jesus through it. He will sustain you. Saying a prayer for you and your family now. The holiday season has been a tough time for me the past few years due to our own difficult family situations, so I understand some of where you're coming from. May He heal and redeem what has been broken for us all! He is a great redeemer! I am sorry the holiday season has been tough for you. One thing I know without a doubt is that God is near the brokenhearted! I'm sorry for your season on pain. I am thankful you still find the space to share with us. I hope and pray you will find more belly laughs on your journey. Malinda, you expressed so well.......about limited details being best sometimes...and about how sometimes the pain and trials are so difficult that it clouds our perception. You strength and determination to find a way to reach out and share, gives hope to others who are looking. Bless you sister. Thank you for your kindness Tammy! I really appreciated your words of affirmation. And I am so thankful that God doesn't waste anything!